Social Spot WiFi is dedicated to helping clients in the retail, restaurant, and service industries connect with their customers. We do this in a non-intrusive, mutually beneficial manner by allowing the business to offer a Secure, Free WiFi Connection with a social gateway, allowing businesses to not only collect important customer contact information and demographics, but also market to their customers where it means the most. Social Spot WiFi– An innovative digital data collection service which utilizes a WiFi gateway to connect with customers via social media. 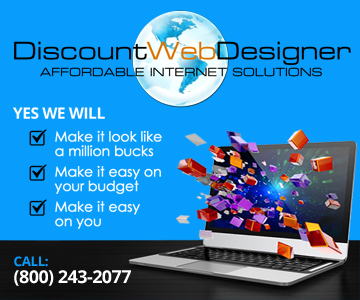 Discount Web Designer– We don’t just design websites that perform, we make them look like a million bucks- without the million bucks! 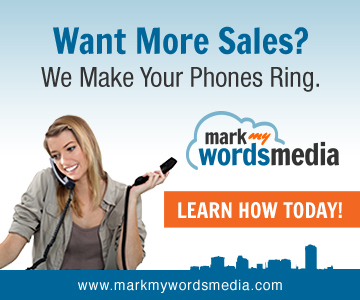 Mark My Words Media, Inc.– Full suite of online marketing services designed to maximize your business visibility in your local market. I can’t say enough good things about Social Spot WiFi! It is so easy to connect with my customers. Everyday when I get in, the first thing I do is check my stats and see how many new connections we made the day prior. I love being able to see exactly who my customers are, and the graphs make it easy to understand who my key demographic really is. In the first month of use, I had 180 new facebook likes! Before, I would get an average of 1-5 per week max. This has exceeded my expectations. It’s a great service, I don’t know how I survived without it!